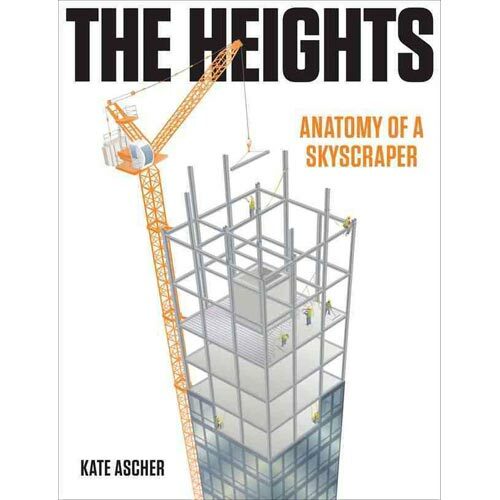 Deep into the index of Kate Ascher’s likable and engaging The Heights: Anatomy of a Skyscraper (The Penguin Press, 2011), we learn that “skyscraper” was not only the name of a racing horse, but that it also referred to the “triangular sky-sail” of a ship. The fact that such data appears in such a manner is poignant—here, in a book teeming with information, in the very part dedicated to the categorization and organization of names, nouns, verbs, et cetera, we find what is perhaps one of the most important concepts of the book. The word “skyscraper” is both performative and descriptive: not only does the Oxford English Dictionary tell us that “Skyscraper” was sired by “Highflyer” (these must have been very tall horses), but that along with “moonrakers,” “skyscrapers” were cast out during light wind conditions, presumably to catch an errant breeze that may guide a foundering vessel back to port. Ascher’s book is by no means flawless. Those with afflictions for history (such as me), will find the introductory material either very familiar or somewhat lacking. For example, the tried and true method of showing the history of skyscraper construction on a timeline only serves to show a progression in form with only a very cursory investigation of the social, political, and cultural contexts that gave rise to these building types. 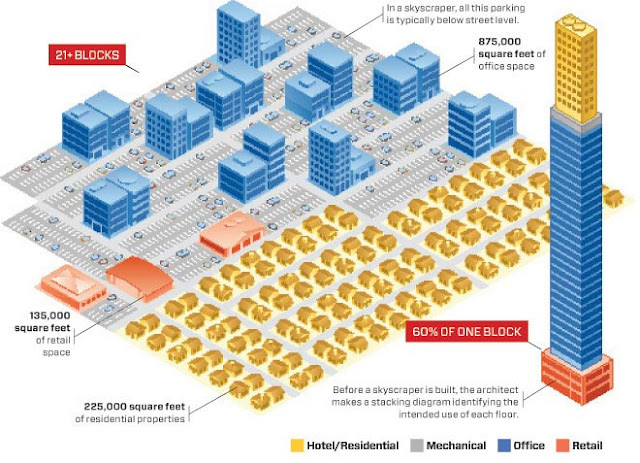 Yet this is not a serious fault, for the book’s preference for graphic design and visual analysis gives the reader a detailed and comprehensive glance into the design, composition, and maintenance of skyscrapers. In all, the book’s greatest strength is its ability to communicate complex information for all kinds of audiences. This means that while perusing The Heights, I was able to suspend my own predilections for historical analysis if only for a moment to confront the complexities of architecture and urbanism in a different and exciting way.